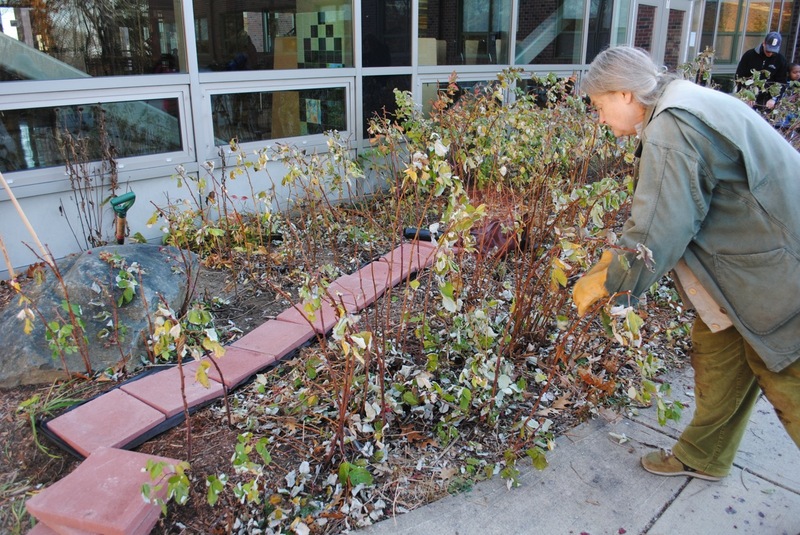 As the winter months approach, it’s time to put the gardens to bed. 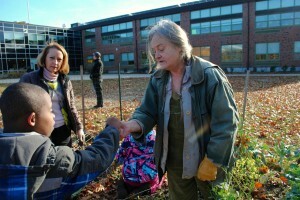 The gardens will slumber to awaken in the spring, ready to grow again. 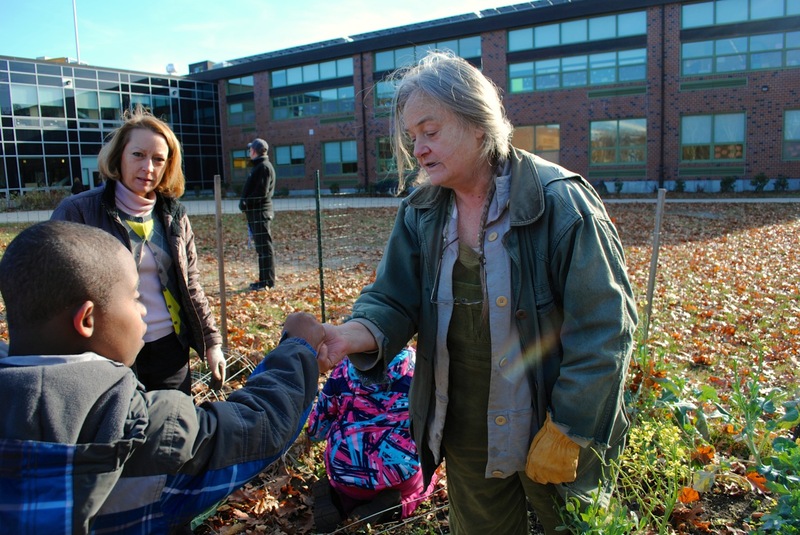 On a recent beautiful fall day, Judy joined teacher Renee Lockwood of the Northeast Elementary School and her class to prepare their garden for winter. First up: taming the raspberry patch and setting a path to make gathering the raspberries easier. 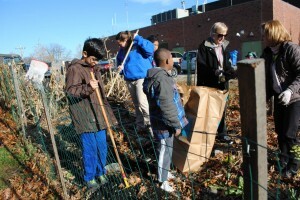 Kids pulled weeds and raked leaves to clear some space. Then, over at the newest section of the garden, the last few crops were gathered: husk cherries, broccoli, arugula and herbs. Tender perennials could be covered to winter over; weeds and dead plants were added to the compost pile. Enjoy these photos of fall gardening. For more gardening information, see our gardening resources here. 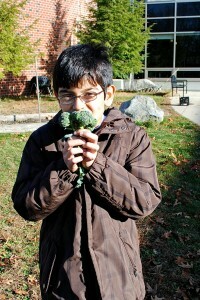 School gardens are great places to learn. A path takes shape through the raspberry patch.